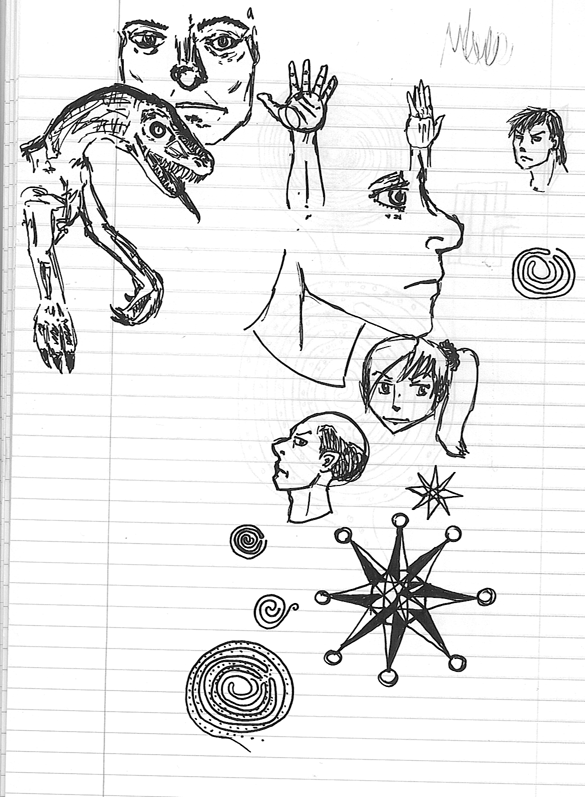 The following images were scanned from my notebook for Philosophy of Mind, Spring 2008 semester. 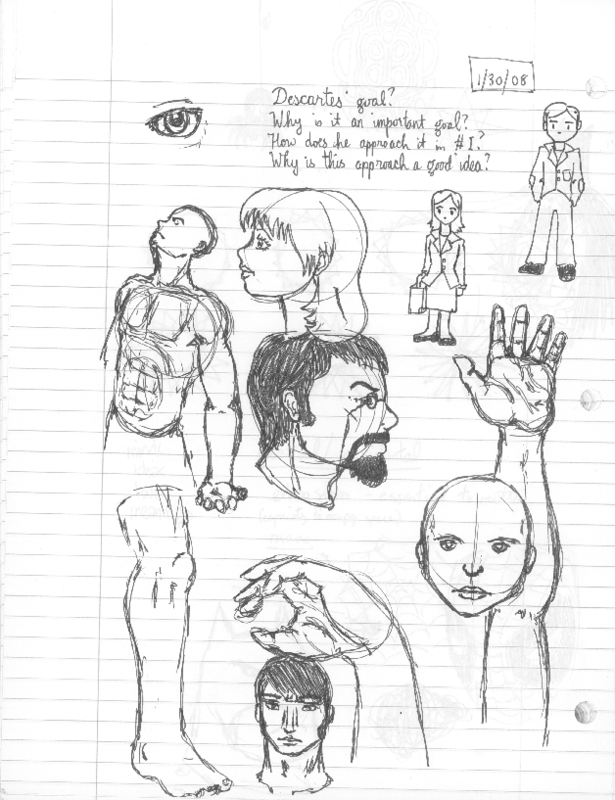 Ignore the class notes; they're not important. 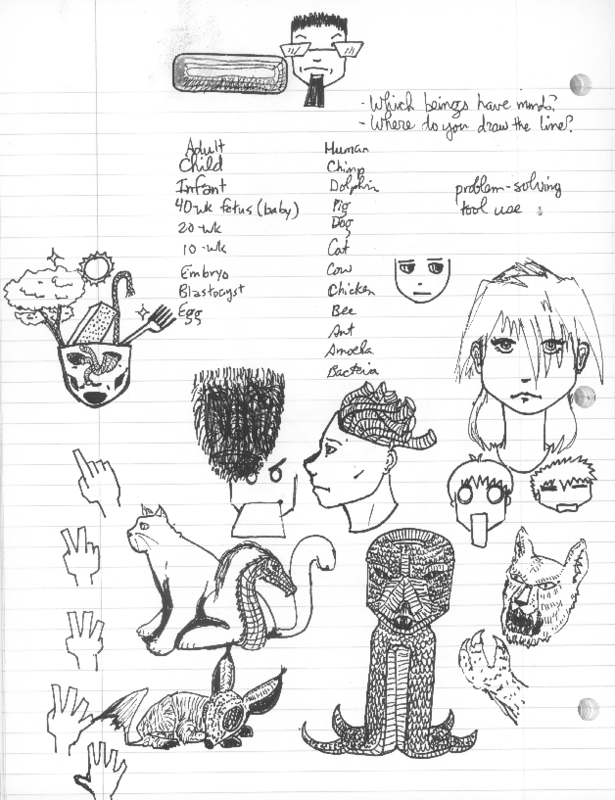 One of the first days of classes...a lot of random critters None of these are intentionally any characters, just random sketching. 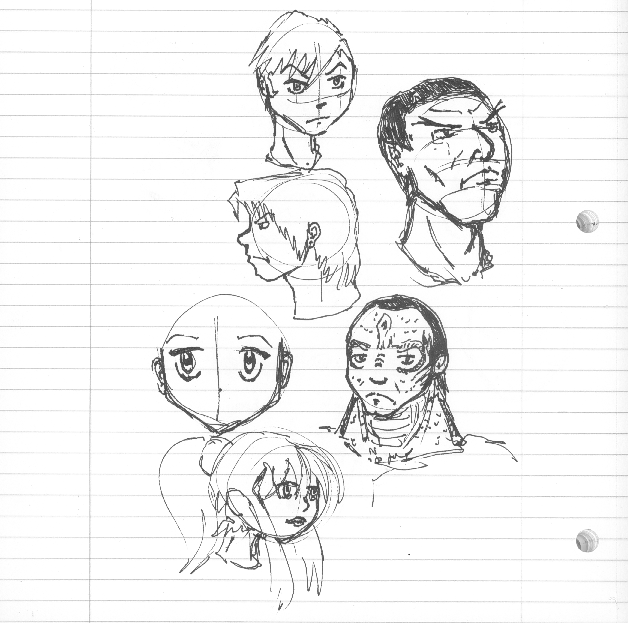 Did I mention I often sketch Star Trek stuff? Spock, Gul Dukat (or really any Cardassian) and I believe that's Sulu up top. Heh...yeah, I'm a fighting game freak. 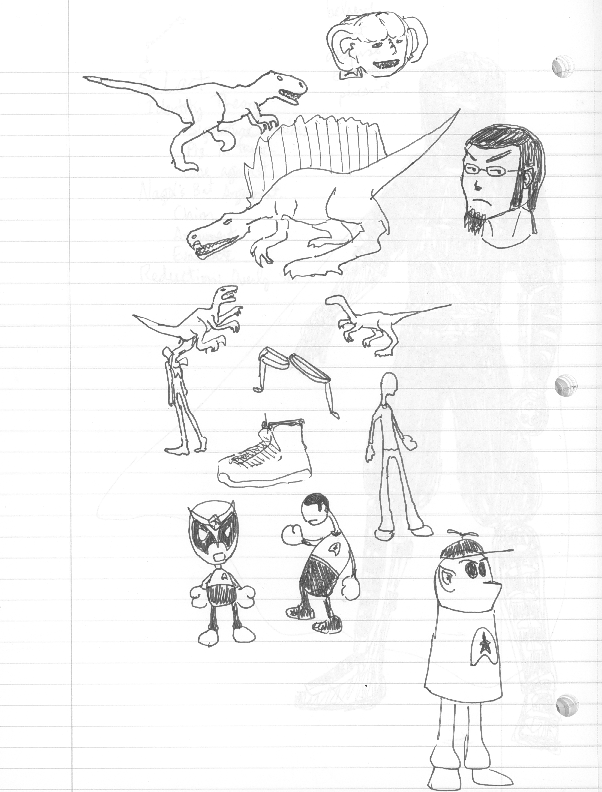 So, dinosaur-type creatures, and Homestartrek Runner. 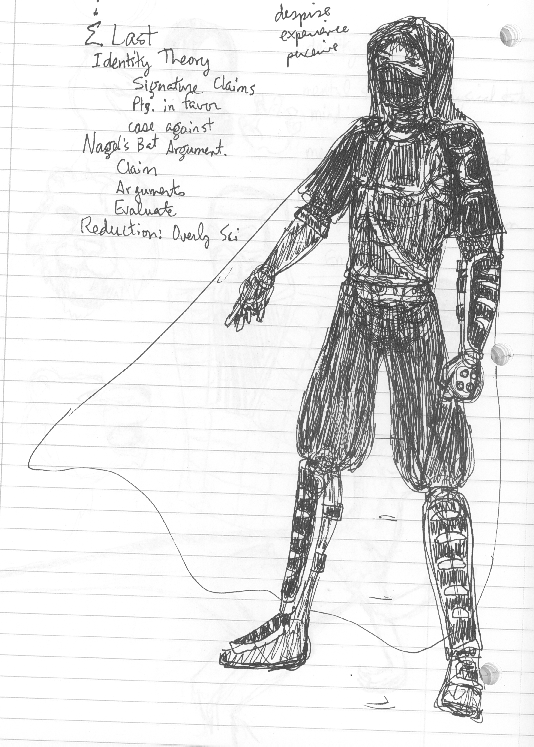 Random sketch of my character Render. 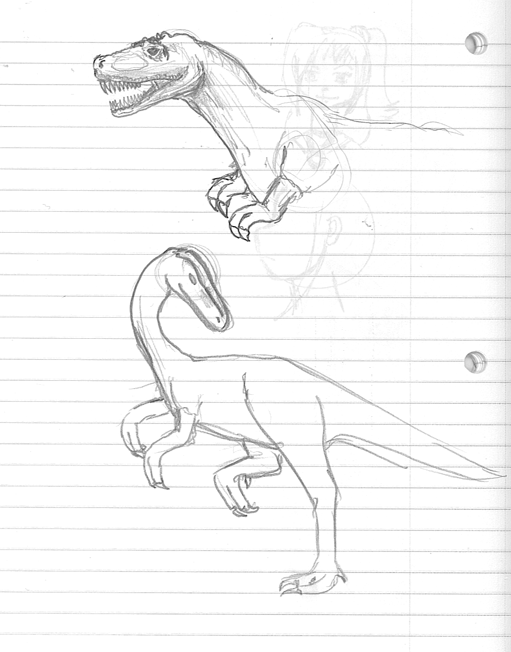 I actually like that Velociraptor sketch. I probably still have a couple of my 'raptor toys, shoved into drawers. 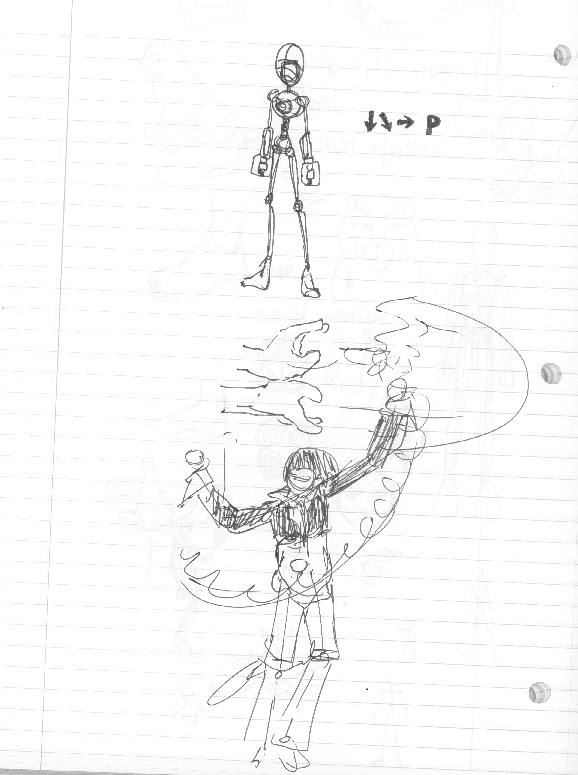 Oh yeah, and that's supposed to be a male version of Yamimitsu up at the top, above Scorpion. Yes, yes that is a Pierson's Puppeteer. And yes, yes that is a zombie head. 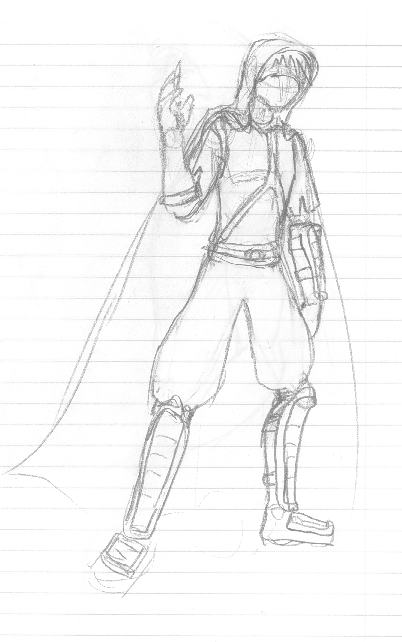 This is gonna start off a lot of my Morwen sketches. Sometimes, you just gotta sharpie in the hair. 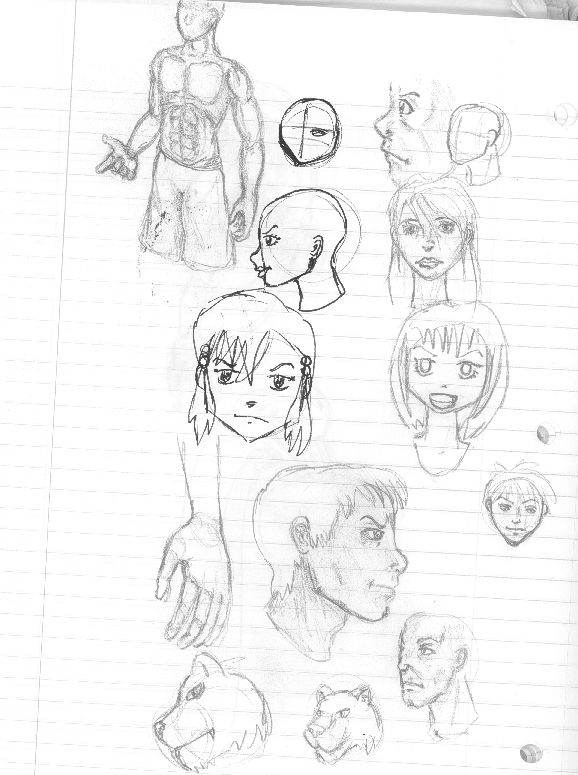 Random people, Chiyo, one of my characters whom I haven't introduced to the public yet...and cartoony tiger heads. 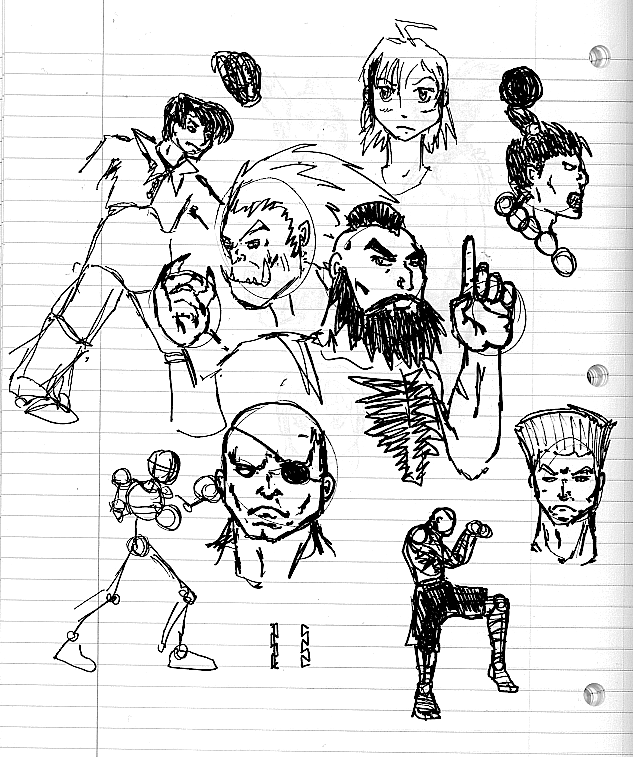 More fighting game stuff. 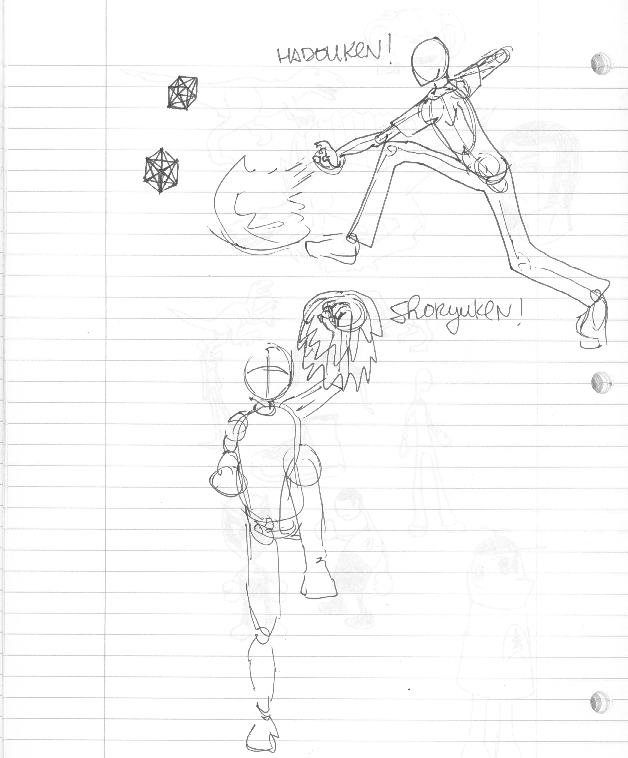 The answer to everything is a Hadouken...or a Yagami-style Fireball. More Render, this time in a slightly more active pose. 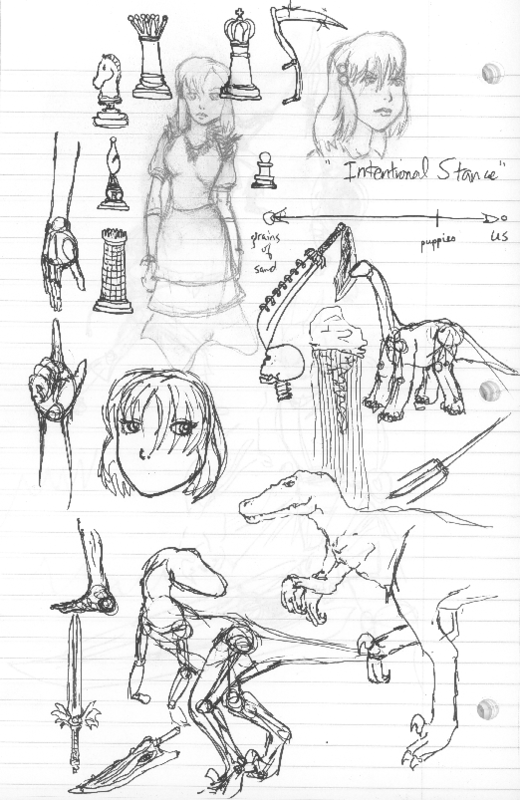 More dinosaurs, and more Chiyo. 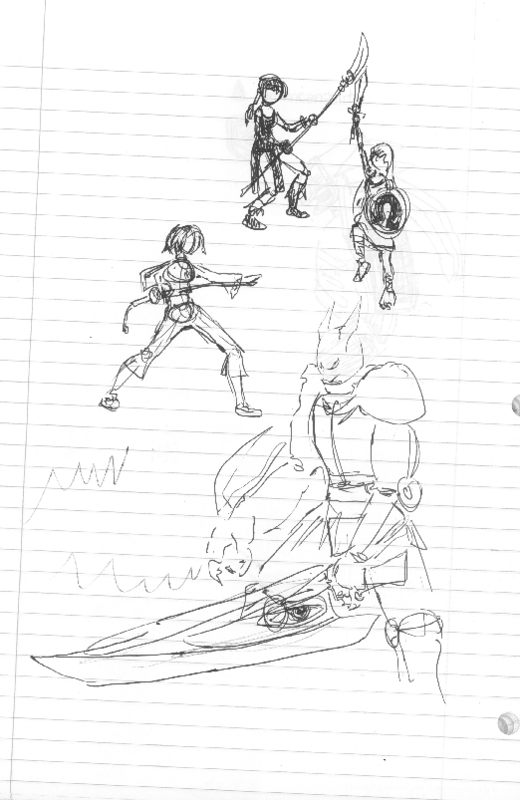 And swords...Soul Calibur and Soul Edge among them. Seong Mi-na, Sophitia, Xianghua, and Nightmare...yay Soul Calibur! 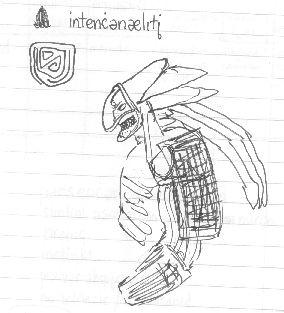 A halfway-decent Yoshimitsu sketch...remember, this is all from memory, while I should be paying attention in class. 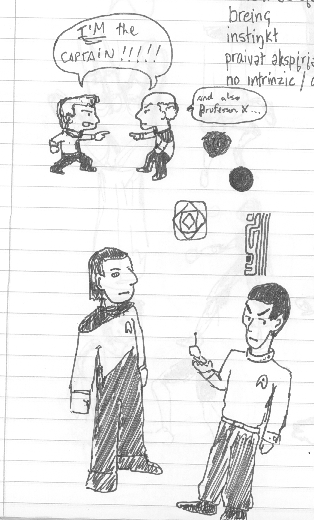 Kirk meets Picard...and also Professor X...also Data meets Spock. Incidentally, don't try reading the writing - it's a phonetic script I've been playing around with for English. 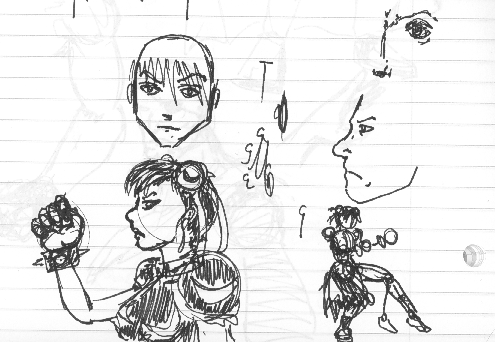 Small sketch of Chun-li at the bottom of a page. Big Street Fighter bunch. Cammy, Bison, Ryu, and Sagat. 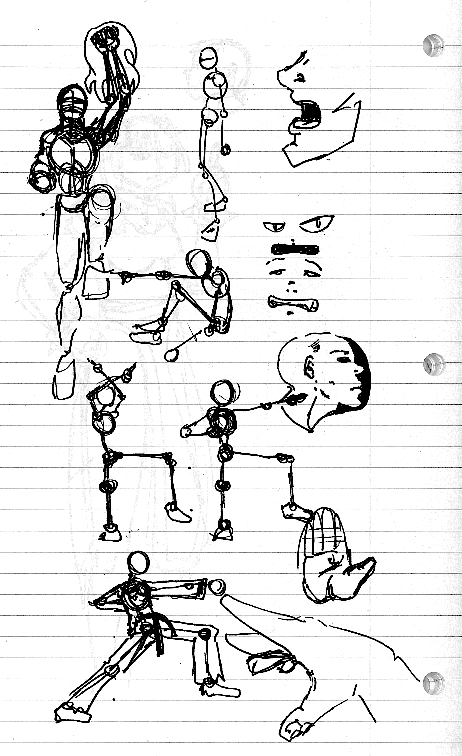 Bunch of stick-figure sketches. Those three near the bottom are the first couple moves of the form jinte (known to anyone outside my Federation as jindo/jinto, probably). 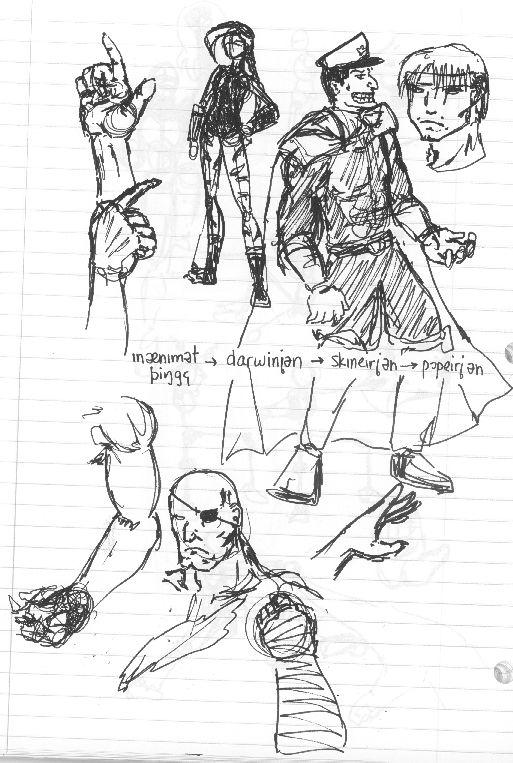 More Street Fighter, but with Iori in there just for good measure. 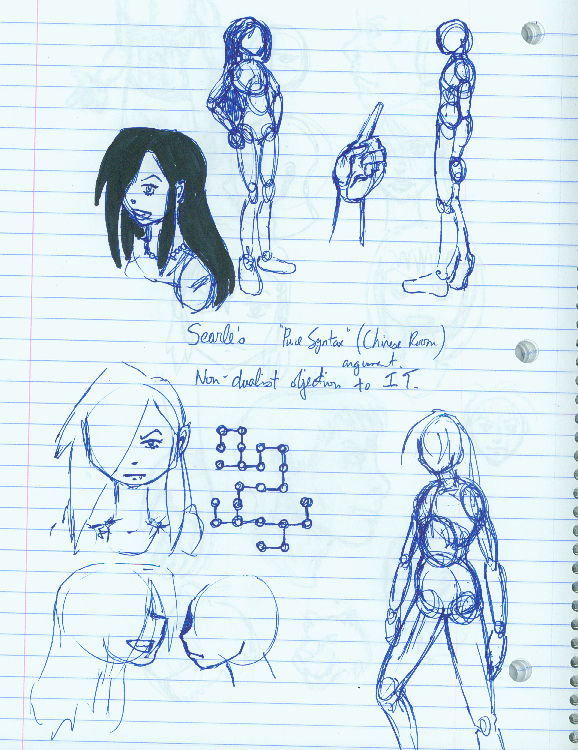 And also a random girl. So this is, um...a dragon...um...ripped in half. 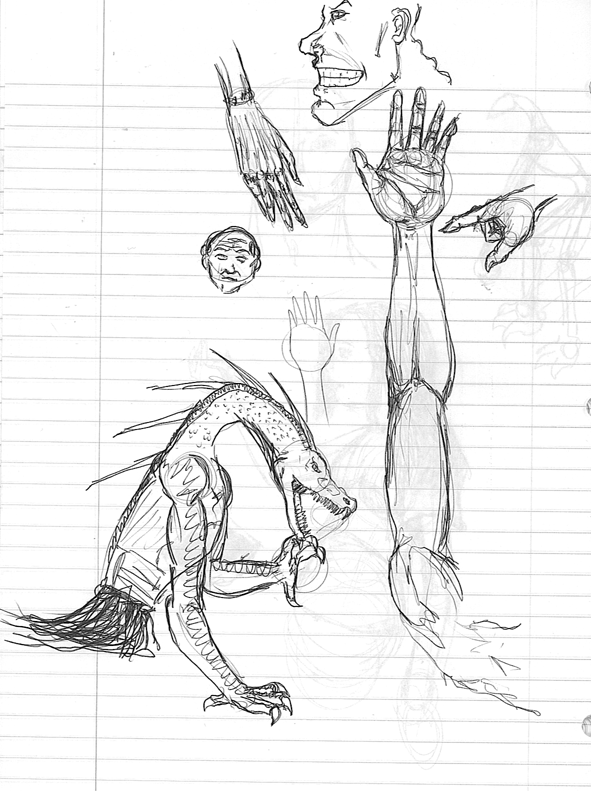 And also an arm. 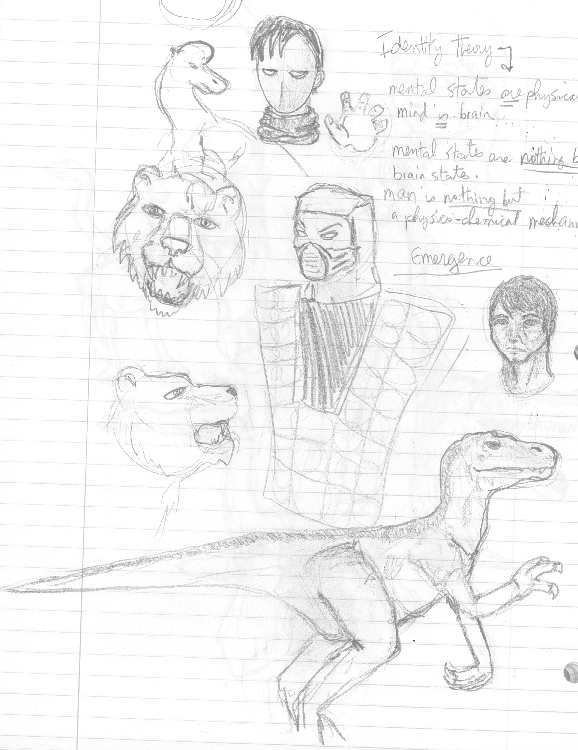 'Nother raptor, among other things. I like 8-pointed stars, in case you didn't know. 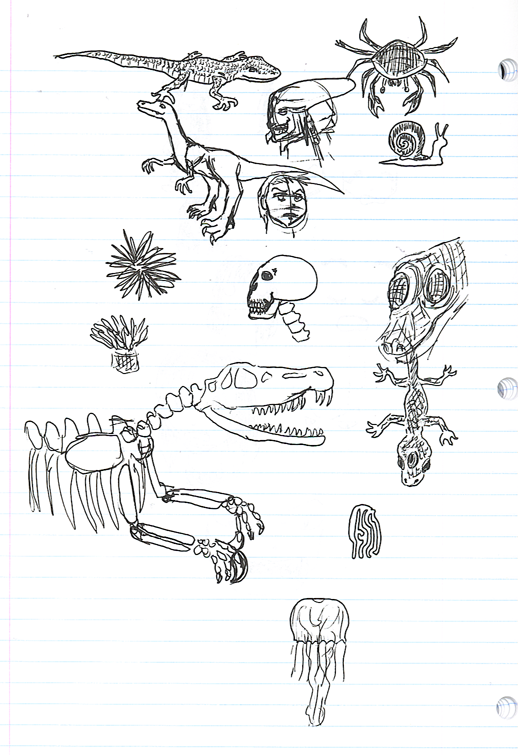 Dinosaurs...I draw them a lot. Habit, since I was a kid. 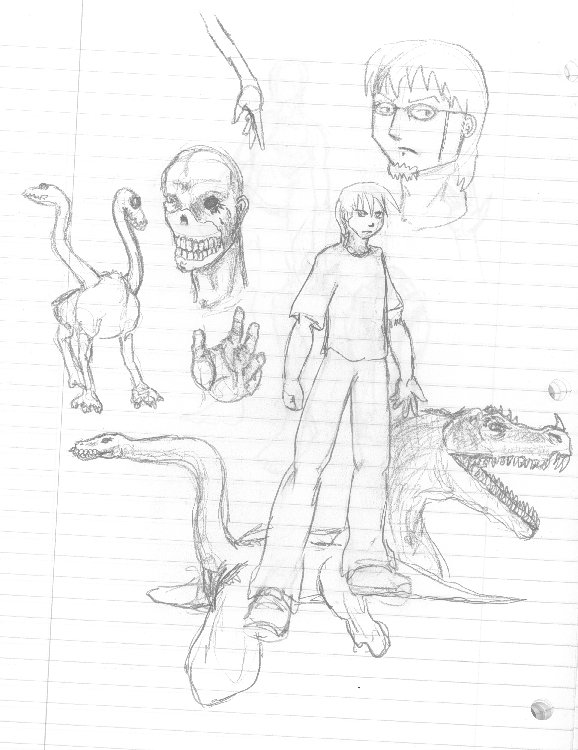 Not only a dinosaur and a dinosaur skeleton (Baryonyx?) but also some three-eyed geckos. And Yoshi. And invertebrates. 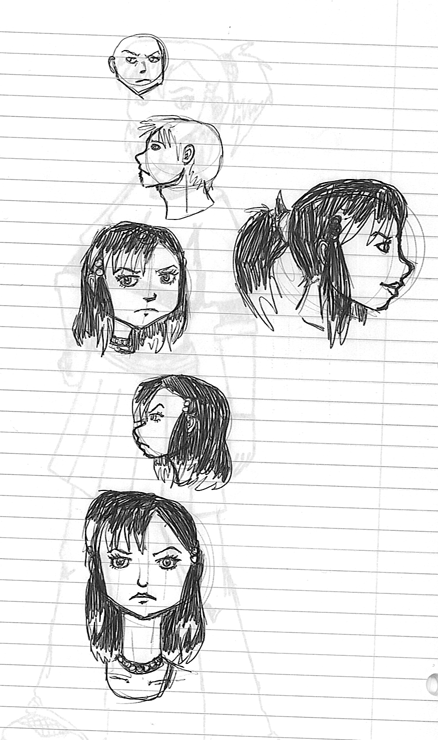 Random Chiyo/Morwen sketches, and facial expressions. The bottom one is Chiyo, I guess, since both eyes are visible. 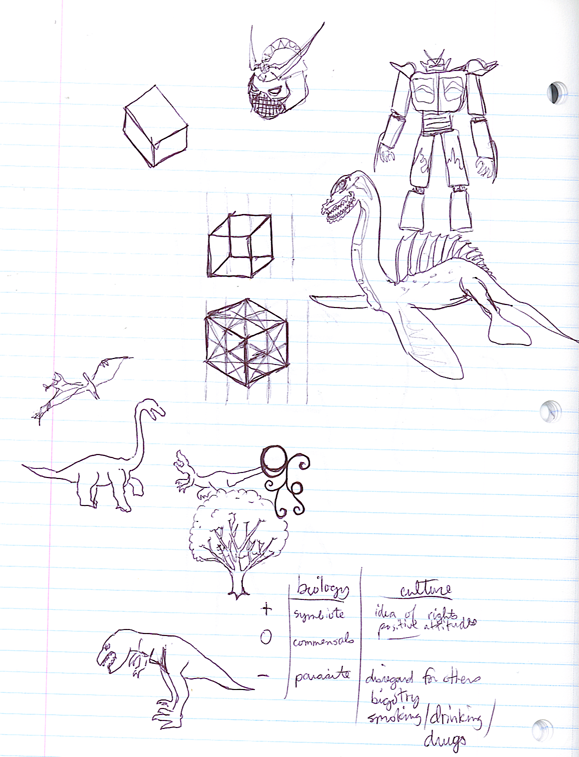 Mecha and dinosaurs are meant for each other. 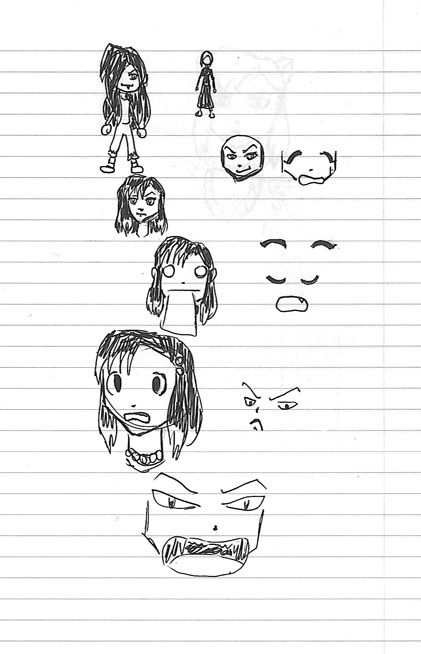 More Chiyo...and an alternate hairstyle for Chiyo as well. You can see the next page showing through, so you know what's next. Decided to take the new Chiyo hairstyle and run with it. Also decided to ink it. Might color it later. I likes. 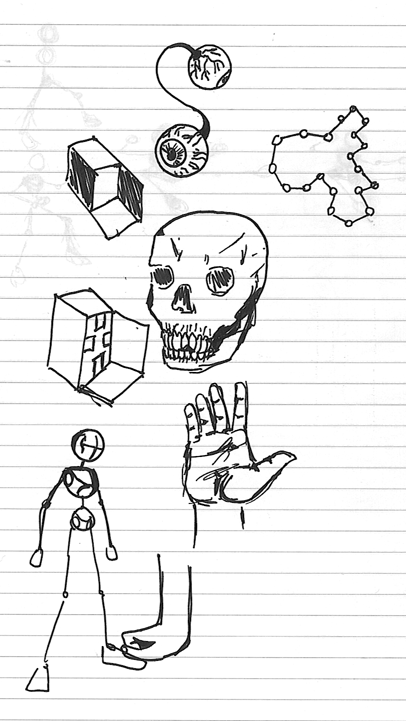 Skull, eyeballs, and random stuff...yeah, I'm weird. 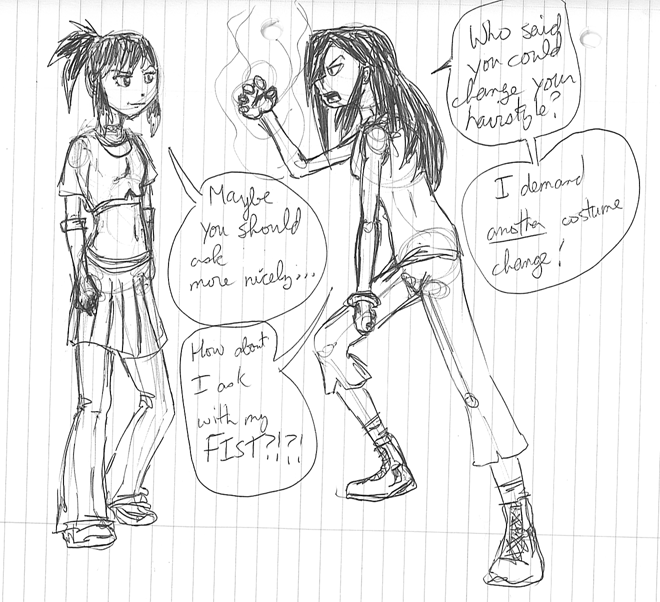 Heh...Morwen's not too happy that Chiyo got a new 'do. Oh well...I change around their outfits often enough that she really doesn't have any right to complain.